Is a packed lunch a good idea? 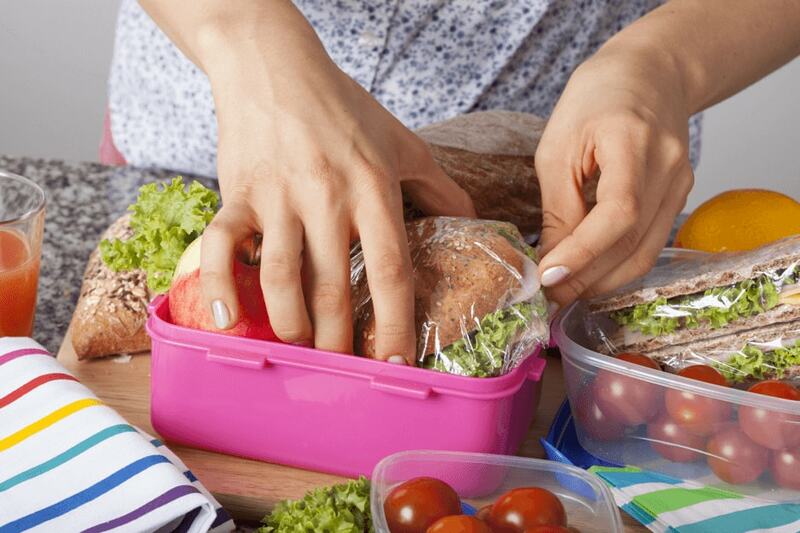 Your child might like the idea of a packed lunch – most do – but should you say yes? Packed lunches might sound cheaper, but by the time you’ve taken into account the extras in your weekly shop, plus those top-up extras from the corner shop when you’ve run out of sandwich ingredients, you may struggle to provide a meal for the same price as a school dinner. And the chances are stacked against your child’s packed lunch being as nutritious as the lunch the school provides. A survey in 2010 found that only 1% of packed lunches come up to scratch! Most contained no-nos such as sweets, sugary drinks and high-fat, high-salt savoury snacks. School dinners must by law provide a balanced diet of protein, carbohydrates, vegetables and fruit, with no confectionary or artificially-sweetened drinks, and there are limits on the fat and salt content in each meal. 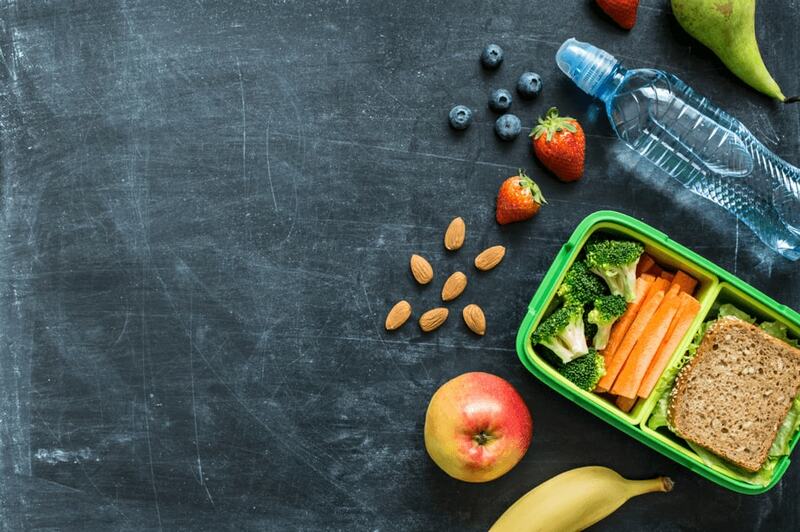 If you decide a packed lunch is the way forward, the two big challenges ahead are a) not to give in to pressure from your child to include ‘bad’ elements such as sugary drinks and sweets and b) to avoid boring, repetitive ingredients. 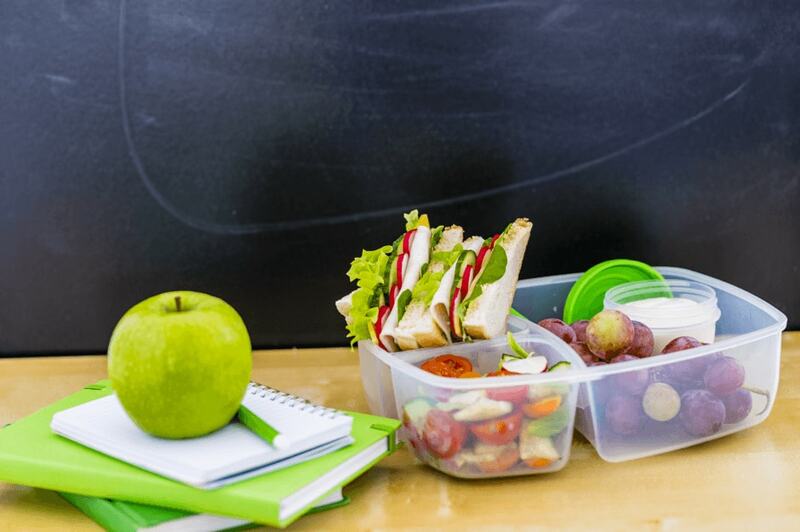 Make packed lunch rules – eg no sweets – and stick to them. No deviations or little treats! ave a healthy lunch formula. A good one is that every lunch must include a sandwich or savoury, a piece of fruit and a yoghurt or milk-based, low-fat dessert. Give your child water (if possible) or well-diluted fruit juice. Water will be much more appealing if you can make sure it stays cold – it might be worth investing in a good lunchbox-sized flask. First of all, invest in proper packaging. There’s nothing quite as unappealing as a soggy packed lunch. Fruit and vegetable sticks that are still fresh when the dinner bell goes are far more likely to hit the spot. Buy different-sized plastic containers with snap-on lids (make sure your child can open them!) and a lunchbox/carry-case with space for an ice pack so the contents stay chilled. Let your child come up with ideas for what he/she wants – but make sure suggestions fall within your healthy lunch formula (above). Leftovers from supper the previous evening can be tasty and hassle-free. Try to plan your evening meal with the next day’s packed lunch in mind. Have one basic leftover ingredient – eg rice, couscous, pasta – and add cubes of cheese, cooked meat, tuna, sweetcorn, beans, whatever you have in the fridge or store cupboard. If your child wants crisps, suggest alternatives such as crackers or crispbreads. You could spread a low-fat soft cheese or hummus on top to make a tasty snack. Low-fat soft cheese and fruit (try strawberries, kiwi fruit or banana) make great sandwich fillers. Tomatoes and cucumber slices make sandwiches soggy. Instead, go for grated carrot or shredded lettuce (choose a variety with crunchy leaves, such as Iceberg or Cos). Finally, if your child wants a healthy snack for break-time, why not include a pack of raisins (or measure out a small handful from a bigger bag and put them into a small plastic container). You can also do the same with dried fruits such as apricots.